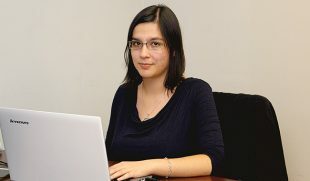 Petya Nikolaeva-Stoyanova has been working as a programmer for 15 years. She started her career when she was still a student and was writing on a pure C on QNX (a real time operating system). Next, Petya had a chance to be part of a new company for Medicine software, which turned out to be her first experience with designing and implementing a brand new system. She found things to be quite challenging because she was the person for most of the things around the project, from managing, designing, coding, training to help desk. This was the time she realized that this profession was the right choice for her. Petya foresaw that the web technologies will go ahead of desktop applications and will be one of the most fast expanding branches in the IT field. Therefore, she focused her skills on web programming. Her affinity are the big long-lasting serious systems. I have been working for BGO Software for about 3 years. 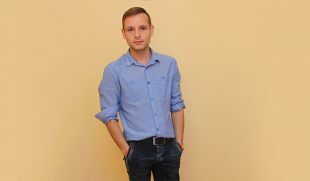 I knew Ivailo Ivanov from the days I used to work for Infonetica – Plovdv. So HARP was panned to be developed and Ivailo asked me to join the team. I knew what kind of person he was and what working for him would be, so I accepted the offer. Often we should work in a multitasking mode, and we should also learn fast the innovations in the technologies that we work with. To be reliable and to work in a team. As a developer, tell us what it is like to be one. I have always believed that our job is something special. It is not only writing code but inventing a product which people use. We should combine many skills. Perhaps, we are like artists and with every new project we should take on a new role. My favorite moment of the day is early, early in the morning when the air is fresh and everything is calm. Why Developers Are Business Model Extenders?